MosselbayonTheline is a community news site with a local and international readership, linked to a Facebook page. While we are based in Mossel Bay, we cover general interest news for the whole Garden Route. We achieve combined page views in excess of 160 000. Contact us for advertorials and advertising placement. We place advertorials and adverts on both our website and Facebook pages, ensuring that you get maximum bang for your buck. You will be provided with number of impressions for your advert, and click-through rates where applicable. Below are our rates for our various services. Banner Adverts must be supplied by the client, in the correct size, and in .jpg or .png format. 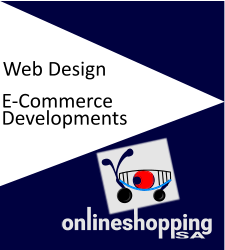 MosselbayonTheline offers a professional design service at a reasonable cost. The client is responsible for the provision of high resolution photographs, high resolution logo, and the information required on the banner advert. This package includes the following. Banner Adverts must be supplied by the client, in the correct size (970x250 pixels), and in .jpg or.png format. MosselbayonTheline offers a professional design service at a reasonable cost. The client is responsible for the provision of high resolution photographs, high resolution logo, and the information required on the banner advert. Banner Adverts must be supplied by the client, in the correct size (225x250 pixels), and in .jpg or.png format. MosselbayonTheline offers a professional design service at a reasonable cost. The client is responsible for the provision of high resolution photographs, high resolution logo, and the information required on the banner advert. Banner Adverts must be supplied by the client, in the correct size (300x600 pixels or 300x400 pixels), and in .jpg or.png format. MosselbayonTheline offers a professional design service at a reasonable cost. The client is responsible for the provision of high resolution photographs, high resolution logo, and the information required on the banner advert.